This is your Tailored team: Former missionaries. Backgrounds in higher education fundraising. Storytellers and relationship-building strategists with a knack for organization. And an undeniable passion to see Christ shared throughout the world. Since each of us is called to make an impact beyond ourselves - whether on the field, leading from home base or investing in others’ work - we see our role as advisors and coaches. We are unequivocally committed to uniting you with the mission-minded individuals - just like yourself - who are ready to support your vision for ministry. They just need to be asked. Our partnerships are with missionaries on the field, small yet active teams of individuals, and leaders of non-profit organizations large and small. In each case, we build strategic funding plans and craft powerful stories that clearly communicate shared opportunities for impact so that funding partners are compelled to invest long term. Kiley is a strategic thinker who carries ideas down into the details: the perfect mix for creating effective funding plans. In any given strategy session, he is simultaneously thinking about the right messaging package to share with a donor, who that donor is, and the math that leads to complete funding. He blends that advice with a contextual understanding of what today's Kingdom organizations face: an environment where technology and globalization require a new approach to engaging donors. It's an approach that permeates whole organizations from leadership to field staff, and Kiley is particularly skilled at building systems that enable that transformation. Kiley brings a background in advancement for an international church-planting organization, and a personal passion to see ministries realize their God-given missions. Learn more about Kiley and find him on LinkedIn. A former ministry worker who carried the unique perspective of how to raise the funds to fuel his work while in the field in Southeast Asia, Russell Cooper knows the unique opportunities and barriers that ministry organizations face in partnering with donors - and he's constantly creating new ways to strengthen that relationship and fuel mission with funding. Russell operates from the idea that fundraising is part of ministry, not a side-bar that distracts from vision. So he works with clients to clarify their ministry impact and connect relationally with funding partners who will share in excitement and ownership of the ministry. Russell draws on a background in higher education advancement, in addition to his time serving overseas, advising clients and coaching leaders with practical experience and high-level curiosity. Learn more about Russell and find him on LinkedIn. Jenny leads our coaching and training offerings, a position perfectly matched to her personal desire to train, equip, and support those working in ministry positions. Having spent nearly 3 years in Vietnam, she understands the challenges that field staff face when working in some of the world's toughest places. She taps into that insight in each area of her work, from planning and leading trainings to guiding Tailored's team of coaches to coaching more than 100 individuals to fully funded status. Jenny's belief that an individual's strengths and weaknesses work together for the benefit of their fundraising development is core to Tailored's approach to coaching, and she is as adept at teaching skills and tools as she is encouraging empathy and the power of relationship. Learn more about Jenny and find her on Linked In. Lynsey's knack for organization blends with a commitment to building strong relationships, allowing clients to experience a smooth, momentum-filled experience. She also takes great care to understand what leaders and missionaries face as they carry out their vision, so that she can best support their efforts. Lynsey leads each team with a genuine desire to see their mission achieve its next level as they advance the Gospel, love people well, and see Christ exalted. 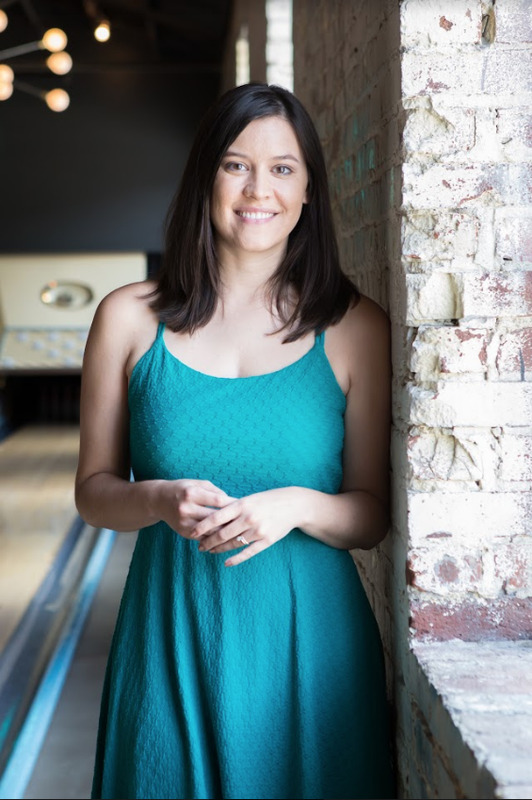 Add to that a background in higher education administration as well as an MBA, and Lynsey offers a unique blend of heart and head as she plans events, develops administrative data systems, manages marketing efforts, and connects with clients. Lynsey and her husband are currently revitalizing a church outside of Detroit, MI. Learn more about Lynsey and find her on LinkedIn.